Manchester City showed that their attacking talents run through their entire squad this afternoon during their FA Cup clash against Rotherham this afternoon, City sparkled by winning 7-0 with 7 different scorers getting on the scoresheet. 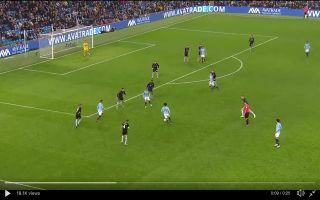 In the 85th minute substitute Leroy Sane completed City’s rout after his long-range effort was deflected into the back of the net after he went on when one of his trademark dazzling runs. City look destined to win at least one piece of silverware this season. Pep Guardiola’s men are still in the running to win all four of their competitions (FA Cup, Carabao Cup, Premier League and Champions League). Should Guardiola manage to beat Liverpool to the Premier League title he will prove once again that he has the talents to dominate any country that he manages in.